Lincoln Cathedral is arguably the finest Gothic building in Europe, but their website was lacking in the beauty and grandeur associated with the Cathedral. The Cathedral came to us with the understanding that their previous website was not being used to it’s full potential. Many of their new and existing target audiences were now using the internet more than ever, to research and learn more about the Cathedral and the website was not up to the task. We were challenged with combining many different objectives for the brand new website. The main aims were to increase the usability of the site, to allow users to quickly and easily find the content they were looking for. Other objectives included improving the brand, allowing more interaction with their visitors, promoting the music & worship, events and regular news updates. One of the major goals was to increase the number of donations to the Cathedral, to help support the large costs involved in the upkeep of this epic building. 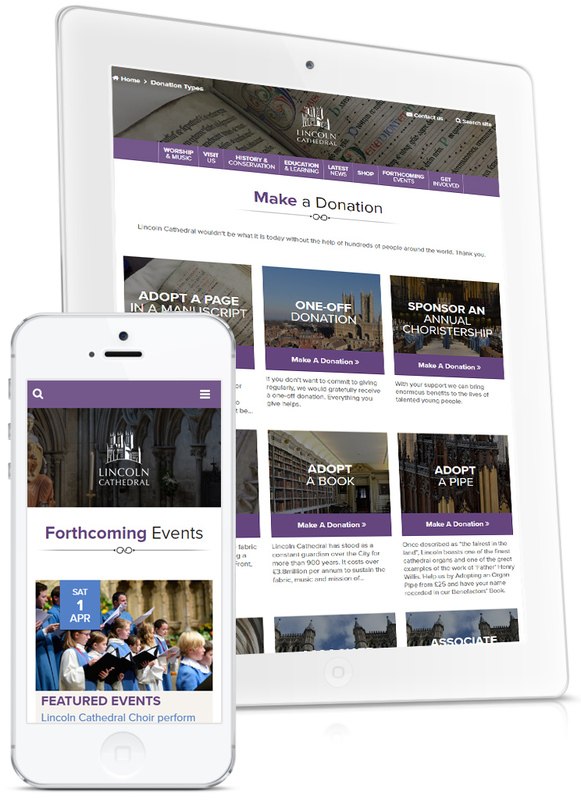 We worked closely on this project with the design agency behind the Lincoln Cathedral’s branding and marketing, to ensure the website stayed true to the values and tone of the Cathedral. As the new website was aimed at a diverse market, we separated the site content into nine different sections. This allowed us to provide users with clear navigation. Users were able to quickly jump from one section to another, to find the content they were looking for. As well as a stunning design, the website boasts advanced background development. The website was built on the popular platform WordPress, which we love! WordPress is a fantastic content management system, and is easy to manage. 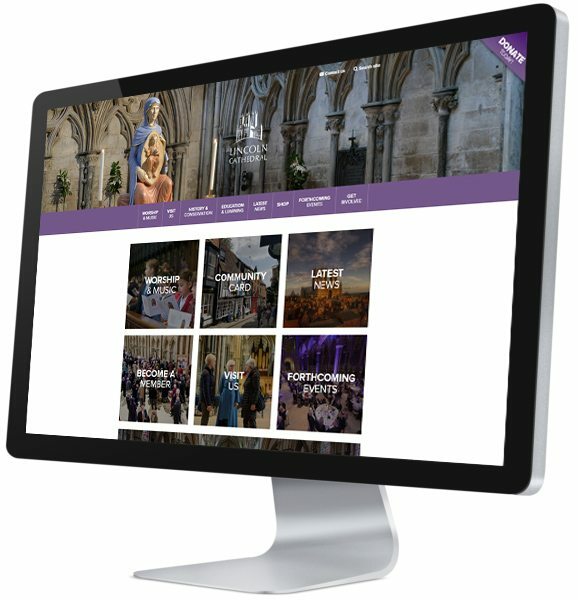 With our bespoke development enhancements, we turned the standard WordPress installation into a power house of features to meet the Cathedral’s needs. We also chose to use HTML5, the latest version of HTML, as the basis for the website. This meant that this ageing building would be at the forefront of the web. It also allowed us to use lots of cool and interesting effects and usability enhancements on the site, giving users a faster, enhanced website experience.